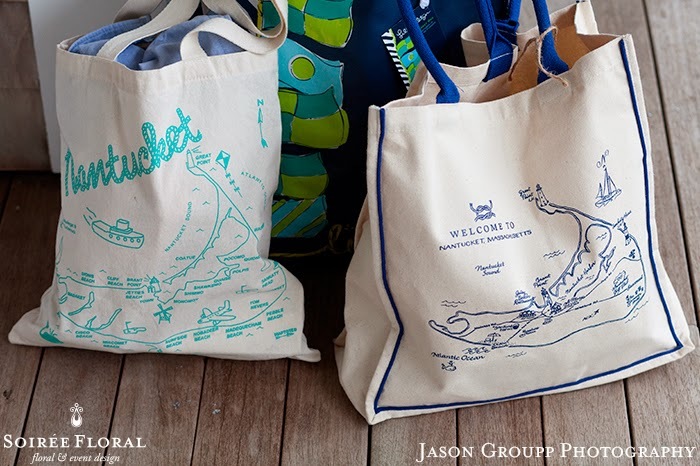 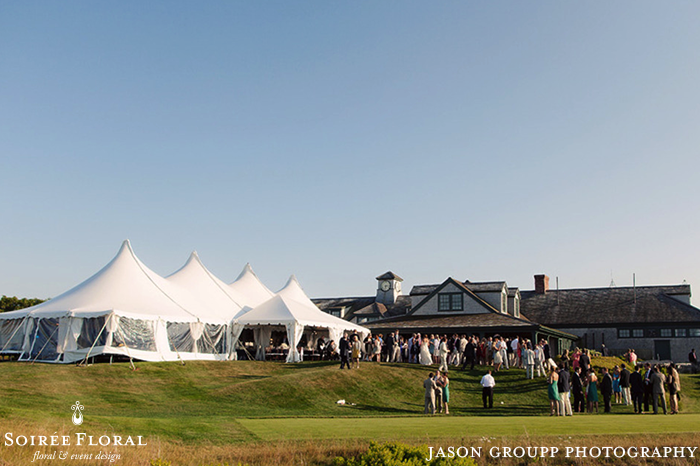 June on Nantucket is when wedding season really kicks into high gear. 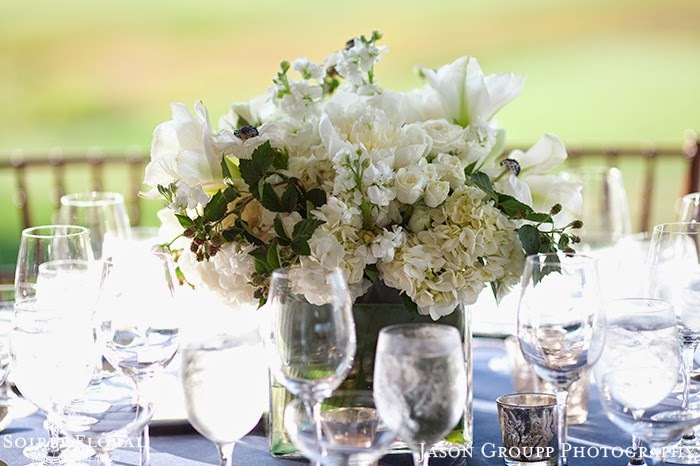 We love seeing our favorite venues again and getting to design for their spaces. 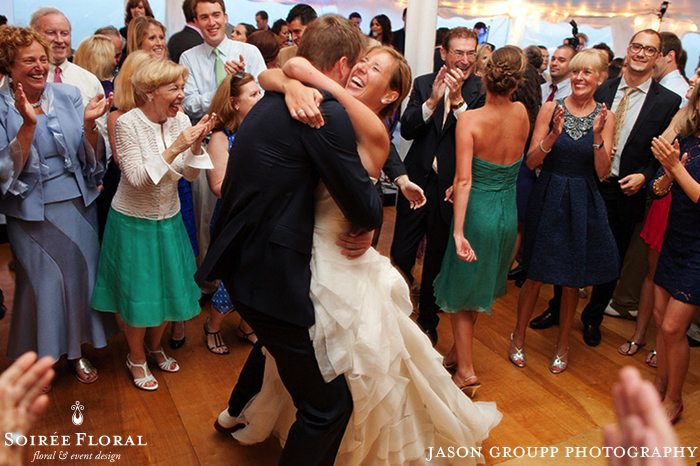 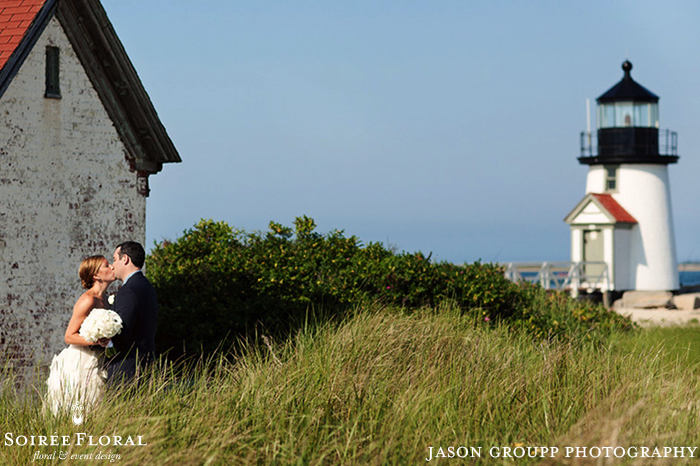 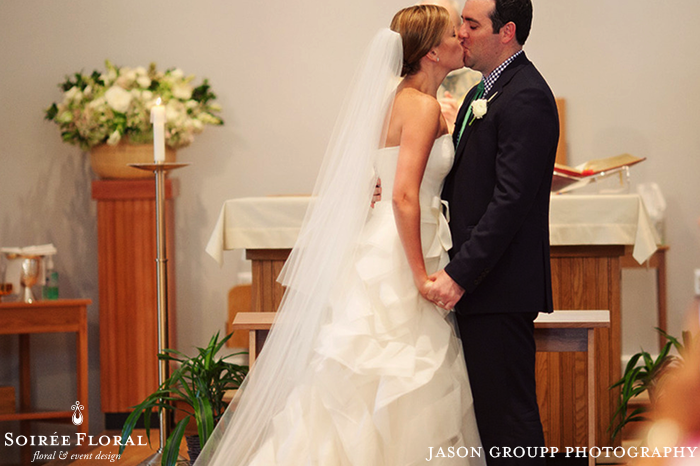 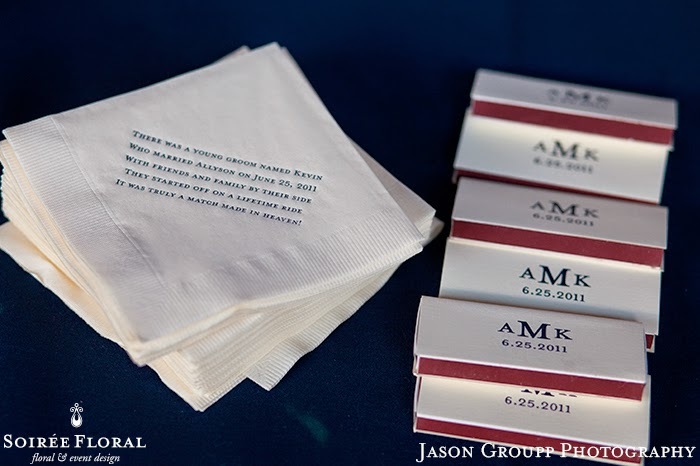 This week, we're sharing a June wedding shot by Jason Groupp Photography that took place at The Nantucket Golf Club. 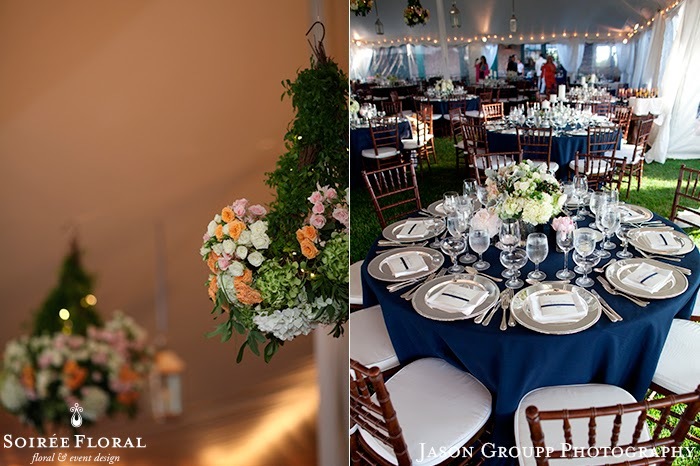 Allyson and Kevin's Wedding was classic with a touch of garden inspiration - we loved creating the floral chandeliers that hung in the tent with our silver lanterns. 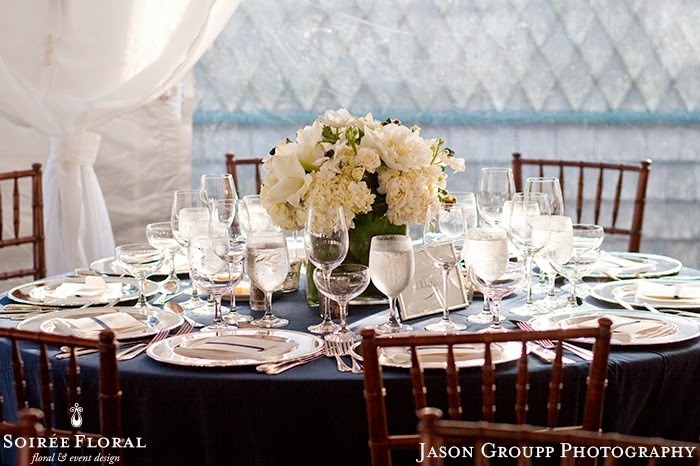 Incorporating lighting at various heights in such a large tent really brings the ceiling down and creates a more intimate atmosphere. 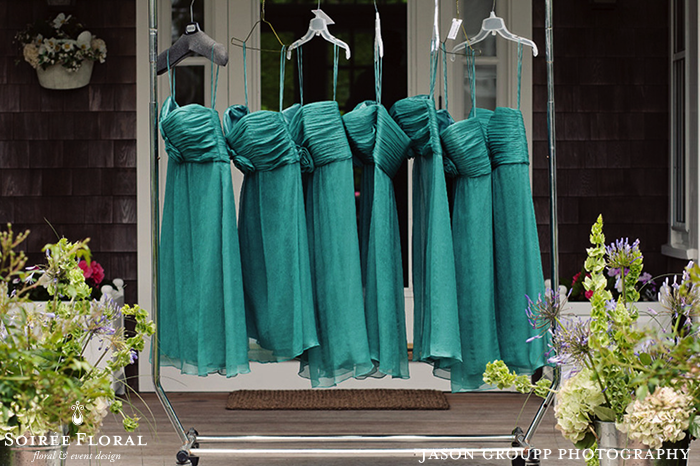 Two weeks ago, we shared our wedding inspirations for Pantone's Fall Color, Biscay Bay - and what do you know, these bridesmaid's dresses are almost a perfect match! 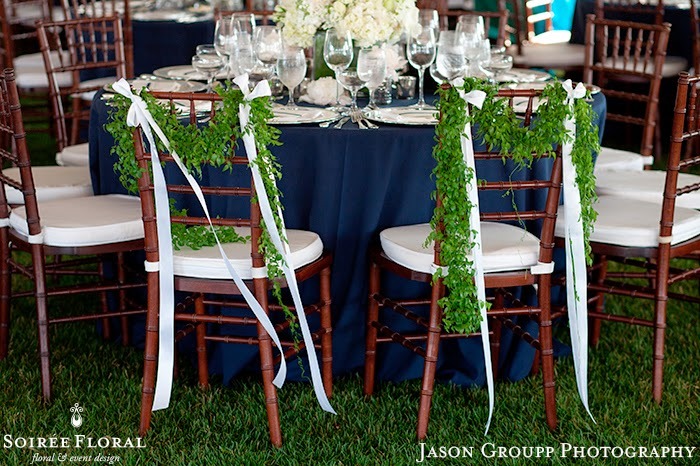 It's such a great mix between teal and peacock - not too green, not too blue. 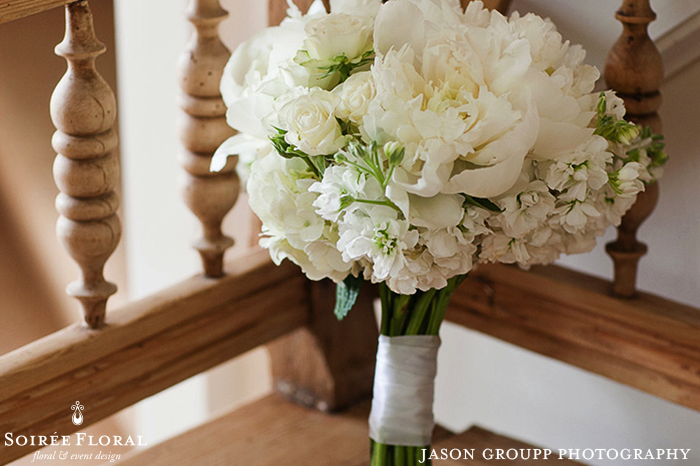 Allyson carried an all-white bouquet with some of our favorite blooms - peonies, anemones, ranunculus and roses! 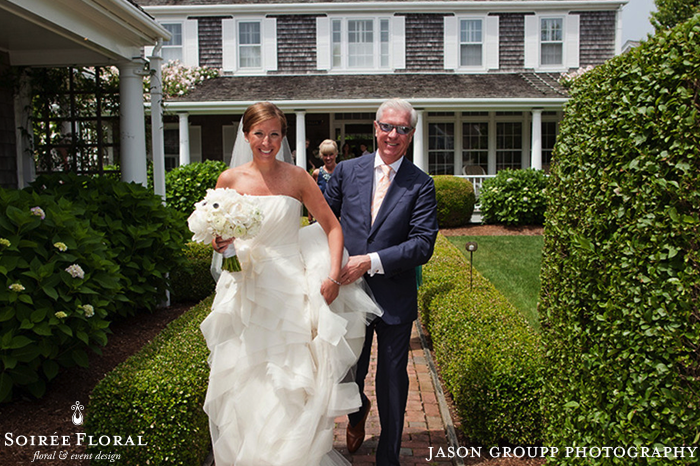 The bottom of her gown was reminiscent of peony petals, don't you think? 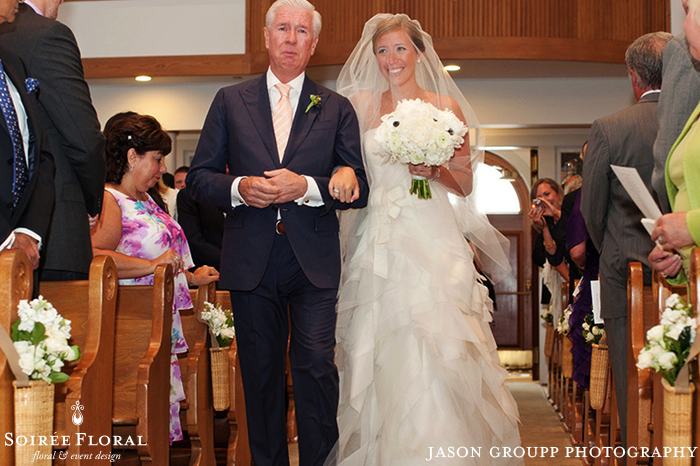 Does one of these bridesmaids look familiar? 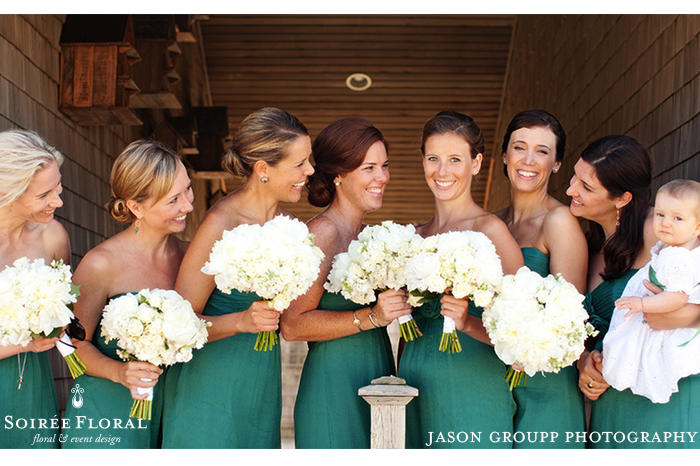 Third from the right is our very one 2014 bride, Rebecca! 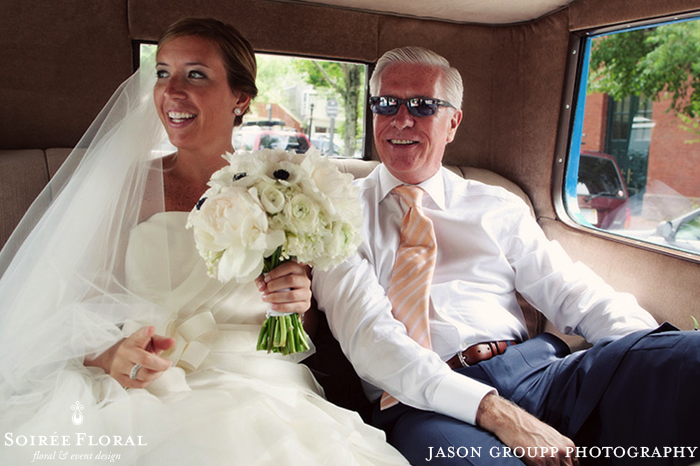 You can see some details from her spring wedding over on our website. 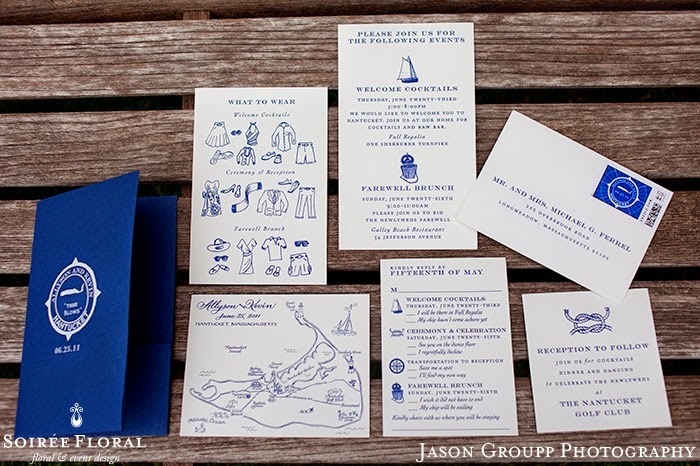 The ceremony was classic and simple - with Nantucket Basket pew markers and altar arrangements. 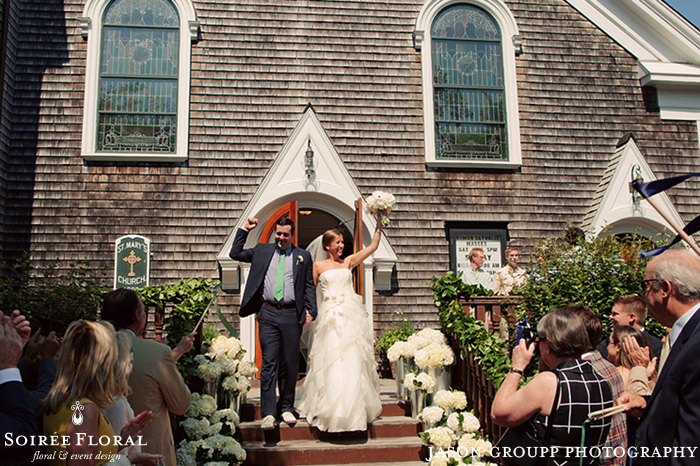 This is one of our favorite things to do at St. Mary's Church - line the steps! 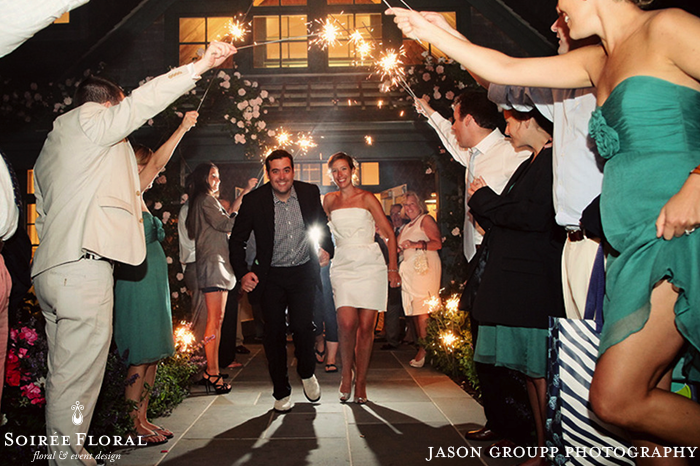 It creates such a great photo opportunity and really makes your grand exit as husband and wife just a little more grand. 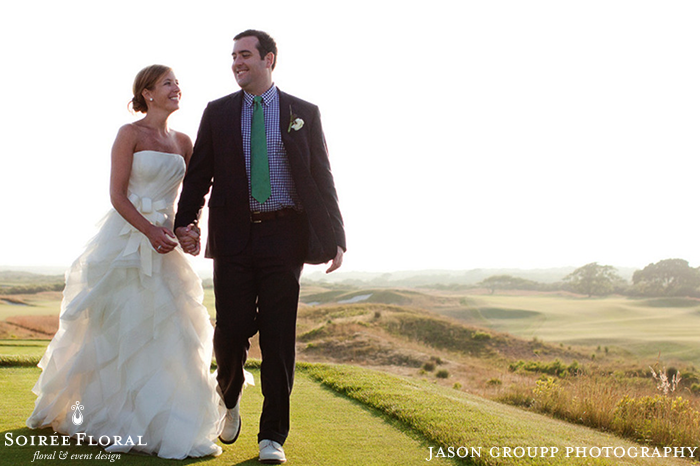 And boy, do we love a girl who loves Manolos! 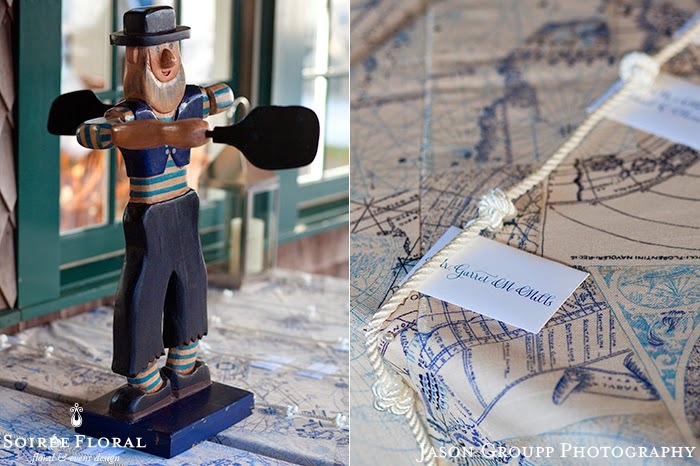 This was her "something blue" and we couldn't love it more. 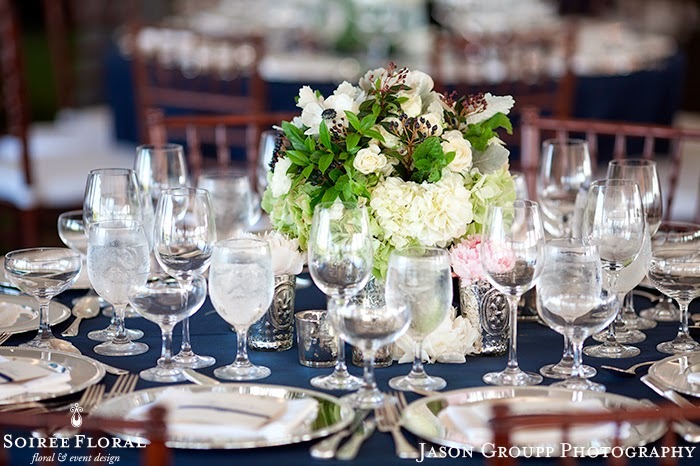 The tables at the reception were mixed with different designs, some with elevated pillar candles on risers with small arrangements accented throughout and the others were more clean and simple glass cylinders and overflowing with lush green and white blooms. 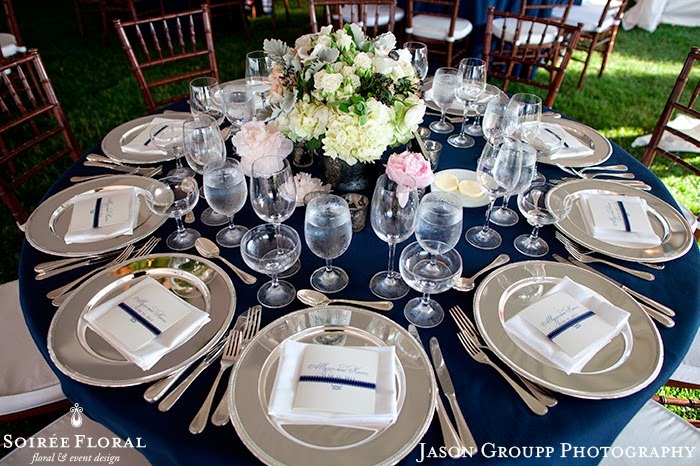 Placesetters, Inc. provided the linens and the rentals - look how amazing everything looks against that navy linen! 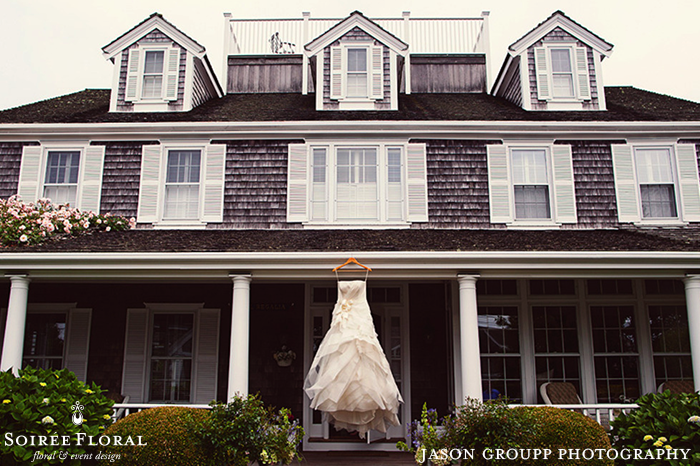 Such a classic look. 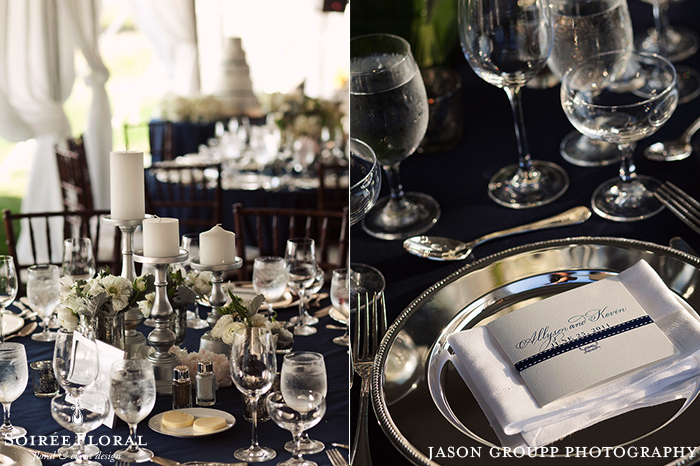 You can see more from this wedding over on the Borrowed & Blue Blog.